As many as 96,478 foreigners requested e-visas on Vietnam’s immigration portal at https://evisa.xuatnhapcanh.gov.vn in the Feb-December period of 2017, according to the Administration of Immigration under the Ministry of Public Security. Procedures for granting e-visas on the website are implemented simply, ensuring publicity and transparency. The time for processing e-visa applications is within three working days. Vietnam began allowing tourists from 40 countries to apply for e-visas from February 1, 2017, with China, Japan, the Republic of Korea, the US, the UK, Germany and Sweden — all major target markets for its tourism sector, among the 40. The government recently decided to expand e-visa issuance for visitors from six more countries, including Australia, New Zealand, Canada, the UAE, India and the Netherlands. Visitors with e-visas can enter through eight international airports, 13 international border gates on land or seven ports. 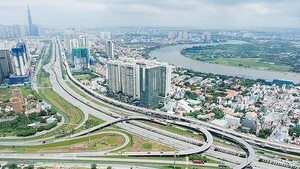 However, the Vietnam National Administration of Tourism (VNAT) cited a recent official dispatch from the Border Gate Department of the Border Guard High Command that foreigners, mainly tourists entered Vietnam on international buses or in caravans through the above-said border crossings, but left the country through other border gates. The issue affected security procedures and management of immigration activities of the Border Guard as well as tourists’ journeys. To settle the issue, the VNAT asked departments of culture, sports and tourism of localities across the country to promote the popularisation of legal regulations on immigration and e-visa in particular to tourists and travel agencies in their areas. 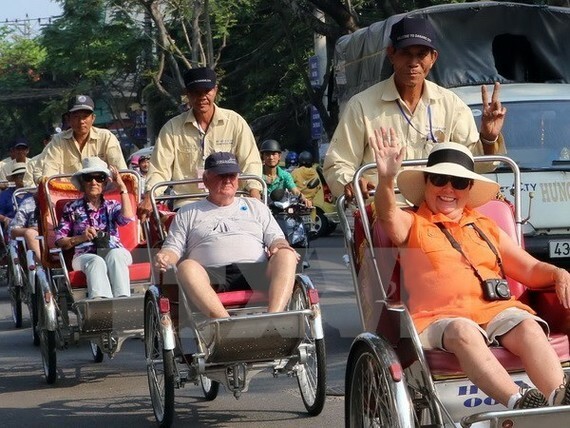 The VNAT also asked international travel agencies to strictly abide by Vietnam’s e-visa related-regulations in the process of providing tourism services, and closely coordinate with the Border Gate Department and border guards of Vietnam in organising tours for visitors using e-visa. Simplifying immigration procedures is a common trend around the world. According to the Global Competitiveness Report 2016-17 from the World Economic Forum (WEF), the percentage of tourists requesting visas to enter a country decreased from 77 percent in 2008 to 58 percent in 2016. Vietnam aims to welcome 16 million foreign visitors in 2018, year-on-year increase of 25 percent. In the first two months of this year, the country served 2.86 million foreign holiday-makers, up 29.7 percent against the same period of 2017.